The Nation’s First Lagoon Amenity is Full!! 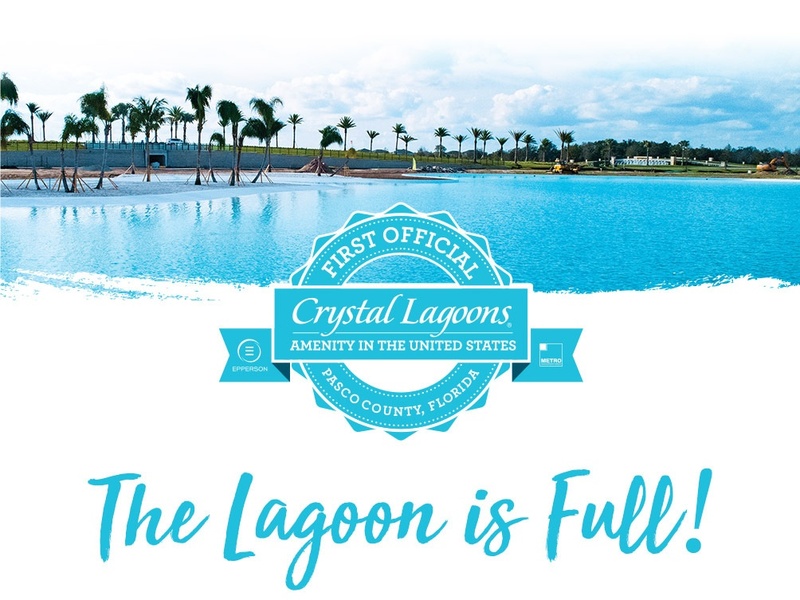 We are filled to bursting with excitement to announce that the Crystal Lagoon in our community of Epperson is finally FULL! As of December 26th, Epperson’s 7.5-acre Crystal Lagoon, the very first of its kind in the U.S., has been filled with gorgeous crystal-clear blue water. It won’t be long now before the residents of Epperson have their own beach paradise to enjoy every day of the year. After breaking ground in February 2017, it is so satisfying for us to finally see the lagoon become a reality for the community. At Metro Places, we are proud to be the first in the country to bring this world-class amenity to our residents and are especially excited that Epperson is the first of five of our communities to have these amazing lagoons. Residents and guests of Epperson will be able to enjoy the pristine blue waters, the beach-side lounging, water slides, cozy private cabanas, a swim-up bar, paddle boarding, sail boating, kayaking and more. You will be able to get your Zen on at the yoga lawn, unwind after a hard-day’s work at the swim-up bar, make a splash of memories with the kiddos on the in-water obstacle course and slide or sail into a gorgeous Florida sunset with that special someone in your life. Whether you fly solo, have a better half, or have a whole posse of Lagoon fans, a home at Epperson will be sure to improve your lifestyle with plenty of ways to unwind and enjoy quality time. And with the grand opening set for spring of this year, there will be no better way for Epperson residents to enjoy the gorgeous Florida spring and sun than spending an afternoon at their nearby lagoon. You won’t want to miss out on the latest Lagoon and Epperson news, so stay tuned by following us on social media to learn more about the opening, special events and all the beautiful homes at this exciting community.